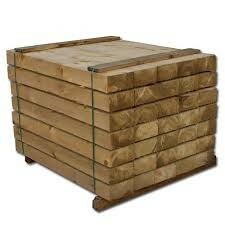 ♦Independent supplier of timber products often cheaper than 'Nationals'. ♦Premises you can visit with friendly & professional staff to offer advice and assistance. ♦Professional tradesmen offering quality service and workmanship. ♦Free and Competitive quotes on all Fencing, Decking and Landscaping fitting services. 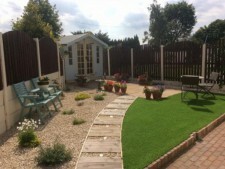 FREE MEASURE & QUOTATION ON ALL OUR LANDSCAPING SERVICES. 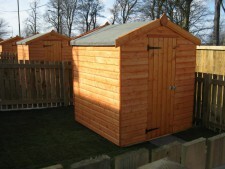 A range of quality garden buildings manufactured by us and made to suit you. Standard range & Bespoke service available.